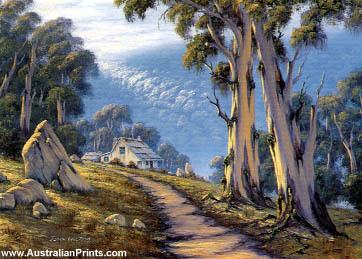 John Falzon is a maltese-born Australian landscape artist. John Falzon was born in Malta in 1931. During his childhood his artistic flair became apparent but World War II made further tuition difficult. In 1951 Falzon emigrated to Australia where, as a qualified electrician, he worked at his trade. 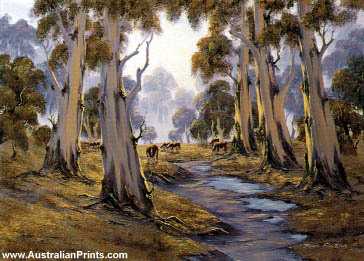 But the magic of art never left his veins and since 1976 painting has ruled his life, particularly landscape painting. His dedication has paid off, with Falzon’s work receiving high regard in various exhibitions around Victoria. During his career Falzon has received numerous awards at art shows including most popular artist. 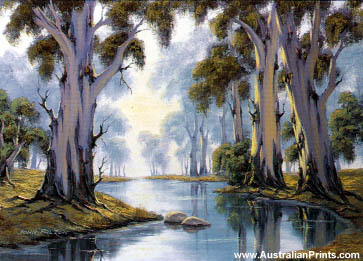 In 1986 a handful of Falzon’s paintings were bought by Werribee Shire Council. These now hang in the Werribee Civic Centre. Both Kilmore and Bulla shires have also bought some of Falzon’s paintings. Artist information page for John Falzon.